Here’s another one of those unfortunate outcomes for such a criminally underrated band. 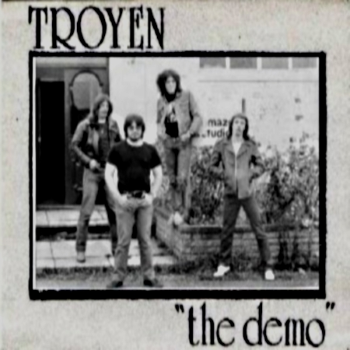 Troyen were a very short-lived NWOBHM band (1981-1982), who split before being able to release any more material, even after being picked up by the famous NEAT records to produce a single and a possible LP. Their only release, “the 1981 demo”, provides a small taste at what could’ve been… From the enchanting vocal styles on “Dreams Never Lie” to the proto-speed metal powerhouse “Crazy Lady”, Troyen truly deserve a lot more than what they got. Thankfully, Troyen have recently reformed and will be playing a few shows over the next year. Check out their facebook page for more details. In the meantime, crank the hell out of this lost gem of a demo!